Legal.IT is now the largest conference in Canada to focus on the impact of IT and its potential in the field of law. After modest beginnings in 2007, Legal.IT is now a must-attend yearly event. Although it began as one of many activities organized by a Young Bar of Montreal (YBM) committee, the first edition of Legal.IT was co-presided by the Honourable Michel Bastarache, then Justice of the Supreme Court of Canada; and Professor Daniel Poulin, President of Lexum. The positive feedback from participants, partners, and speakers convinced the organizers to repeat the activity the following year. The second edition, co-presided by Jennifer Stoddart, then Privacy Commissioner of Canada, and Professor Pierre Trudel was highly successful in terms of both attendance and quality of content. To better meet the needs of participants, the third edition was held over two days in 2009. 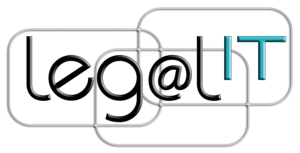 Legal.IT 3.0 was also the first edition to include the Vitrine technologique, a space that allows partners to offer specialized training for their products and services for free. Since 2009, every session of the Legal.IT Conference has been an approved activity of the Barreau du Québec’s Mandatory Continuing Education Program.